Pioneers in the industry, we offer india mark- ii hand pump, connecting rod, plastic hand pump, shallow well hand pump, deep well hand pump shallow and casting hand pump from India. With the support of our advanced production facility and dexterous workforce, we have been engaged in providing our customers supreme quality India Mark Two Hand Pump MS. This india mark ll Hand Pump is manufactured using high grade raw material and innovative technology. Our quality inspectors stringently test this hand pump as per the international quality standards. 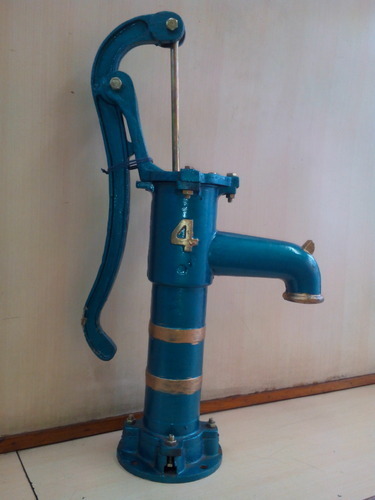 Additionally, clients can avail this India Mark Two Hand Pump Ms at market leading price. Our far reaching scope of Connecting Rod which is particularly intended to meet the prerequisites of car industry. To guarantee high caliber of these rods, we utilize unrivaled evaluation crude material. Our connecting rods are recognized for rust safety and solidness. We additionally make these role in agreeability with customers' requests. Being a quality-centric company, we are engaged in offering a superior quality Hand Pump PVC in SANJOG Brand. Our product is provided in various specifications as per the need of customers. This product is manufactured with finest quality material, by our workforce. Apart from this, our product undergoes various tests under stringent observation of our quality controllers in order to deliver a flawless range from our end. 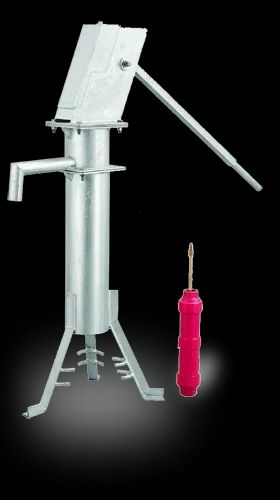 We are a prestigious company engaged in offering a premium quality Shallow Well Hand Pump which is use to pump water from underground, the offered hand pump is well designed in compliance with market norms, using the best material. Our offered hand pump is provided in number of specifications as per the demand of customers. Accordingly, this hand pump is checked on various parameters to assure its quality before the delivery. Due to the technical proficiency of our knowledgeable professionals, we have been able to manufacture, export and supply a quality assortment of India Mark II Deep Well Hand Pump. Our offered hand pump is manufactured by our skilled professionals using quality assured components and advanced technology at par with set international quality standards. Provided hand pump is available in several specifications as per the requirements of our prestigious clients. 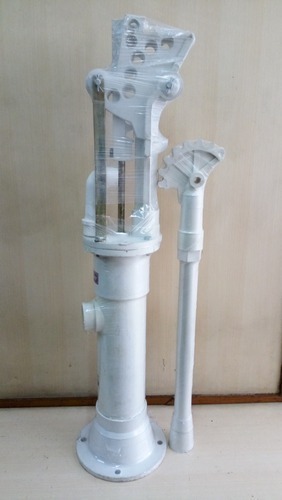 Moreover, clients can avail this hand pump from us at rock bottom prices. Duty: Suitable for use in bore wells having static water level ranging from 12 mts. to 45 mts. Stroke Length: 125 ± 4mm. Discharge: 17 liters per minute of 40 strokes. Conversion Head: Side plate, back plate, front end top and bottom end plates are made from 4 mm thick MS plates. Bottom flange is made from 6 mm thick MS plates. Handle: Made from 32 mm Square MS bar. Length of Handle 1170 mm. Chain Assembly: 7 Pitch Chain assembly welded with M 12 Internal threaded coupler. Cover: Made from 2 mm CR Sheet. Water Chamber: Top and bottom flanges are made from 6 mm thick Ms plates. Pipe holder is made from solid bars to hold 32 mm Riser Pipes. Stand: The Stand flange is made from 6 mm thick MS Plate. The pipe used is 150 mm medium 'B' Class pipe. The angles are 40 x 40 x 6 mm. Connecting Rod: 12 mm dia MS Bright rod in 3 meters length welded with coupler electrogalvanised. Cylinder: 63.5 mm I.D. Cast-Iron cylinder with brass liner and cast iron caps of 32 mm thread with two nitrile rubber cup washer (leather) and Plunger rod as per IS 9301 - 1984. Riser Pipe: 32 mm nominal bore galvanized iron pipes of medium class. Mobile team of minimum of 3 skilled person will be required. The repair van has to carry all the special and standard tools. The time involved for change of worn out cup washer will be minimum 1 to 1 1/2 hours depending upon number of Riser Pipes. NOTE: According to customers requirement we can supply Pedestal with Round or Square Flange instade of legs. To avoid Corrosive problems, We can supply U.P.V.C/Stainless Steel Riser Pipes with Stainless Steel Connecting Rods. With the support of our advanced production facility and dexterous workforce, we have been engaged in providing our customers supreme quality dati panja hand pump. 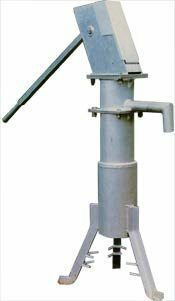 This dati panja Hand Pump is manufactured using high grade raw material and innovative technology. Our quality inspectors stringently test this hand pump as per the international quality standards. 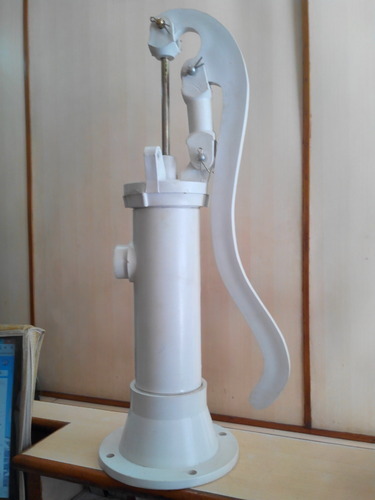 Additionally, clients can avail this dati panja Hand Pump casting iron at market leading price. With the support of our advanced production facility and dexterous workforce, we have been engaged in providing our customers supreme quality dati panja hand pump. This Double guide Hand Pump is manufactured using high grade raw material and innovative technology. Our quality inspectors stringently test this hand pump as per the international quality standards. Additionally, clients can avail this Double guide Hand Pump casting iron at market leading price. With our expertise, we are offering impeccable quality Hand Pump Cylinder, which is manufactured in compliance with global standards by our highly experienced professionals using optimum quality raw material and sophisticated technology. Our quality auditors rigorously test this cylinder to ensure high durability at user end. 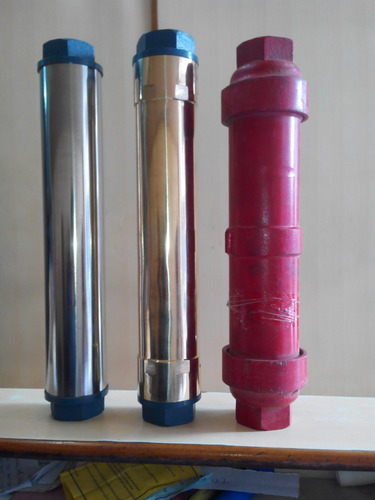 Furthermore, clients can avail this cylinder from us at reasonable prices. We are a reputed manufacturer, exporter and supplier of superior quality SS Hand Pump. This hand pump is designed and manufactured by our highly experienced professionals in sync with global quality standards using optimum quality raw material and sophisticated technology. Moreover, this small hand pump? is rigorously tested on various parameters of quality to ensure high functionality at users end. Features: Easy to install Corrosion resistance Rugged design. Looking for “All Type of Hand Pump”?